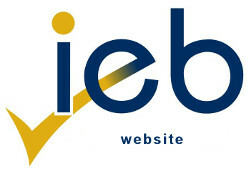 The IEB bases its Grade 12 National Senior Certificate examinations on the South African Curriculum Assessment Policy Statements (CAPS). The CAPS documents can be found on the Department of Basic Education website. The IEB’s specific school-based assessment and examination requirements are detailed in the IEB Subject Assessment Guidelines. These are the key documents required for preparing Grades 10 to 12 learners for the National Senior Certificate (NSC) examination conducted by the IEB. Use of ©IEB material does not give you ownership of any intellectual property or right to the content you access. These documents are designed as a guidance tool for schools that write the IEB NSC examinations and can be used as such. ©IEB material may not be reproduced for commercial gain. Should ©IEB material be used, it must be acknowledged as ©IEB material. Altering the content may be considered a violation of the South African Copyright Act 98 of 1978 and any subsequent amendments. The IEB reserves the right to update its documents as and when required; downloading or copying documents on this website is at your own risk. The IEB reserves the right to prosecute any person or organization found to infringe on its copyright. Enquiries regarding use of ©IEB material can be emailed to the IEB directly.